In December, 1968, humanity took an evolutionary step forward and set foot on a new world. Now, to commemorate the 50th anniversary of that Apollo 8 mission, documentary filmmaker Paul Hildebrandt is asking for your help to complete his exciting documentary ‘First To The Moon‘. If this film’s beautiful trailer is any indication of what we can expect, I’m extremely excited to see the finished product. 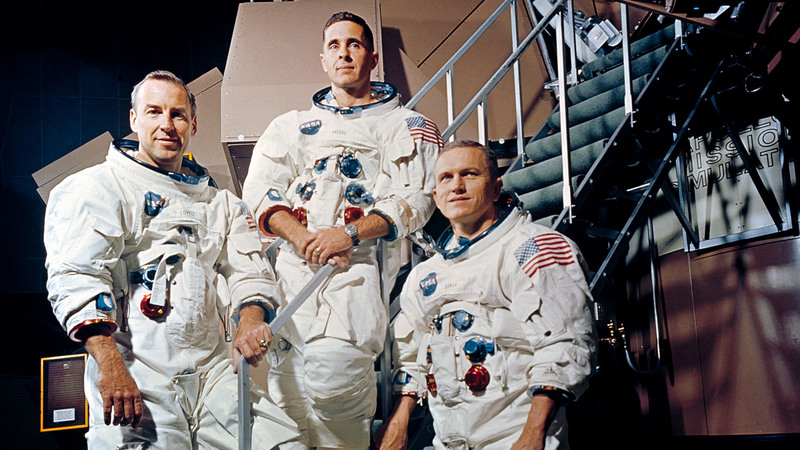 First to the Moon tells the life story of these three men, how they grew up, served in the US Military and eventually became the first people to travel to the Moon. This documentary is told through their own interviews and rare archival photos and film. If funded, “First to the Moon” will feature exciting photorealistic animations of the Apollo 8 flight, recreating famous moments from the mission, such as the Earthrise photo, the reading of Genesis, TLI and TEI maneuvers. We are scanning in many rarely seen film reels from the National Archives and other sources which show how Apollo 8 really happened. These film reels will be painstakingly cleaned and restored in high definition. After completion of the film, all NASA archival material will be uploaded and distributed for free on Archive.org. Pledge rewards unlock with a contribution as little as $10. Please help support this and other projects and help rekindle humanity’s explorer instincts. Tagged Apollo 8, Apollo Program, astronauts, Bill Anders, documentary, Frank Borman, Jim Lovell, Space Race.